Empowering Well Informed Business Decisions. Our interactive & rich dashboards provide you an insight into all critical business parameters. Analysis and reporting features help you to take right business decisions at the right time. Today’s Business is on the fly of wheels, anywhere and everywhere. Multi-locations such as Head Office, Branch & Regional Offices, Factories, warehouses, distributed sales outlets, multi-point service centres, franchisees, partner network or even customers need to connect with the Businesses (B2B/B2C). Key decisions and approvals should be made while you are at home, on the move or even during your leisure. Hence a real-time information system is a must to face today’s distributed, complex and challenging business environment. In today’s rapidly changing world, it is imperative that businesses leverage on leading edge technology to optimize resources and their usage. Businesses need to have more integrated business applications in order to be competitive and profitable. On the other hand ERP Solutions have always been fraught with complexities, frequently associated with implementation and customization pains, limited scalability, high cost of ownership, maintenance and above all, time. Time taken to implement and adjust to the new processes and practices defined by the erp vendor. Systech with over two decades of its experience in building, managing and supporting IT solutions and services demystifies this pre-conception and brings you the new generation erp. Presenting Systech ERP, a highly integrated multi-functional ERP suite tailored to meet the needs of diverse industries across a variety of customer profiles. Systech ERP optimizes your resources, offers you total visibility and control across your business, helping you to make quick and well informed strategic decisions in real-time. Now you can concentrate on your core business leaving everything else to Systech ERP. Systech ERP is a product born out of design and conception. 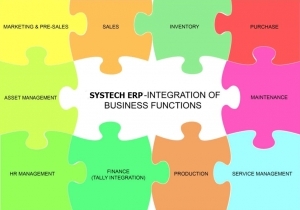 Systech ERP offers a unique combination of features and capabilities. It is neither evolved nor developed incrementally unlike most of the ERPs that address the mid segment of the market. Being robust, scalable, flexible, customizable, interoperable and affordable too, it embraces and walks the best and the latest in technology. The following capabilities stand testimony to its goodness and innovation. Connect and be with your business always. Today’s competition warrants us to do so, whether your business is distributed across offices, factories, warehouses, branches and so on. On top of this you and your employees can stay connected with the entire enterprise anywhere, anytime all at an incredible speed and performance, thanks to Systech ERP web technology. Thanks to web technology, Systech ERP allows you to extend your enterprise to your partners, Vendors and customers. This enables consolidated operations on a real time basis to work smoothly leading to cost and time effectiveness. Hence every stakeholder can involve actively to achieve excellence. Keeping abreast with the technology driven lifestyle, you can access your business thru’ smart phones, tablets and devices with our mobile apps. Whether it is quick info for the people on travel or an important decision based on mis, you can all do this at your comfort. Smart Phones are also used in the shop floors for production data capture and in the warehouses where goods inward and outward are made. Systech ERP interactive graphical dashboards offers to provide multi-dimensional analyses, deviations, comparisons, etc making it so powerful so that you can take well informed business decisions. The parameters related to these analytics are configurable so that the same scenario can be looked from different perspectives. Scorecards provide you an insight into all the key vitals thereby maintaining your business healthy and growing. Score card is your single window world which drives you to perform your tasks on time. Watch them live for that ‘absolute control’ from where you can drill down upto the transaction in search of details. Thanks to BLOB technology, all the images are being encrypted into binary formats helping you to store them effortlessly against any transaction in the database. This means you can store purposeful images like the Customer Purchase order, vendor invoice, stock item snapshots and drawings, employee photograph for instant references and audit. Convert into PDFs and Excels instantly – Go Paperless! Go Green!! All the MIS and registers can be readily converted into PDFs and Excel documents for easy sharing and perusal. No paper, no printing and hence go green! Set pre-defined checks, notifications and reports and see Systech ERP alerts you on these occasions thru’ emails, SMS and pop-ups. Helps you make pro-active decisions and corrections before it is too late. Device Integration Connect to machines to fetch real-time data in the areas of manufacturing like production output, machine stoppage, etc,. Similarly devices including your weighing scales, bio-metric attendance can also be interfaced. Barcode & RF supportive features leap your business forward in the direction of advanced automation. This helps you to seamlessly integrate and consolidate data with any third party software complying with a multiple application environment. Currently Systech ERP is integrated with Tally.ERP9 for finance and can be done for disparate and legacy applications. Integration can also be done with any portals, payment and email gateways. Systech ERP Product strategy assumes minimum technical learning capacity and competency, an obsession for ease of use and flexibility, business environments with optimal technical infrastructure and finally low affordability with quick realization. Systech ERP will offer all that is desired by a modern business including the functional richness and the overall user experience. Implementing Systech ERP across the enterprise is a simple process. 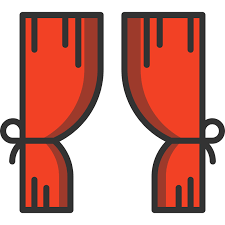 Industry best practices combined with a handy work-flow configuration minimizes the need for any customization so that users can start using it quickly. Quick enough to use from Day 1. Further the web server technology vouches for a ‘universal installation’ without having to install or manage every client thereby resulting in a rapid implementation. In case of a distributed business environment (multiple sites) the application server or the database server or both can be decentralized to deliver optimal performance. Systech ERP compliments your business growth. With Systech ERP around, you can expect for sure that your business size would grow. Anchored by its multi-tier architecture, Systech ERP effortlessly handles the growing number of users, divisions, locations and transactions, making it ideal for growing enterprises. Inspite of adopting the best practices in every industry and a strong domain knowledge, Systech ERP is designed to adjust to specific business processes and needs of customer by way of quick and easy customization. Unlike many other ERP solutions this is definitely not a ‘force-fit’ into any enterprise. Systech ERP offers extreme security. To ensure that only relevant data and access is available to users, the Systech ERP framework pre-defines role based security levels for each user with respect to function, action and time. Auto back-up facility ensures frequent data back-up with contingency plan so that you don’t lose your valuable data. Further the Internet Security Certification and data encryption capabilities vouch for the most secure online transactions. Availability of hardware resources is very crucial in any enterprise IT environment. Be it entering data or going thru’ reports, you can do them all while the system is backing up the data. In other words the system automatically backs up the data at scheduled intervals without having to halt the operations that too without compromising on the performance. This ensures a zero down time. Leveraging on the latest open source technologies you save substantially on direct costs including software licenses, operating systems and databases. Systech ERP is very light on your pocket since there is also an incredibly low administration costs in terms of manpower and time. Thanks to internet technologies, it also reduces wasteful expenditure as hefty Client hardware or expensive internet bandwidth. Further you will breathe easy with our minimal recurring costs accounting to a very low TCO and high ROI. Organize your prospects under user defined categories to keep them handy to do a quick marketing. Engage them by running campaign over email, sms, newsletters and mailers on the latest offerings. Do tele-marketing with complete prospect history and follow-up calendar in front of you. Send them instant mails for a lasting impact. Capture inbound enquiries with details that can be interpreted to improve your marketing strategies. Empower and motivate your sales force with real-time data on and off the field. Configure your sales team into individuals or teams. Enhance team productivity by remaining focused on their line of activities. Collect and manage references at every stage of sales that expands your circle of trust bringing quick leads. Make sales quotations that are as beautiful as your offerings, email them with relevant document attachments all at the click of a mouse. Manage your funnel by tracking leads won, lost, dropped and deferred. Capture leads effectively in trade fairs & promotional events. Raise sales order by simply dragging and dropping the sales quotation. Automatically takes to delivery and sales in produce-to-stock model. Triggers other manufacturing and purchasing processes in case of produce-to-order model. Raise sales invoice and email them as PDFs. Manage pricelists and credit limits and take absolute control of sales. Capture tax details along with other expenses in granules and stay compliant to all the statutory norms. Right from Purchase indents to goods receipts and invoices, your purchase has never been this picture perfect. Vendor Management based on past history. Quotation comparisons and Pre-closure of purchase orders all bring amazing clarity in your purchase process. Manage complete purchases of stock, consumption and assets. Optimize inventory to the trends in demand and supply. Configurable item masters, tree based item groups and sub-groups. Stock summary with multiple stock valuation methods and what not, Tradewinds has it all. Over variable bill of materials (bom), material requests, indents, issues & returns keep the material movement absolutely tight. With due support to produce-to-stock and produce-to-order models, our manufacturing solutions are integrated and comprehensive. Material Requirement planning, Capacity planning, Scheduling. Work order, route card generation, process mapping and process execution. Our flexible sub-contracting module facilitates outsourcing at any stage of the process. Maintain very high uptime on your machineries. Reap production outputs to the fullest capacity. Service item masters with bill of materials provide you with a super experience in operating the plant. Energy optimization with respect to multiple resources and consumption points are done at ease. An after sales support model that retains your customer. Be it carry-in or onsite, warranty or ASC, repair or preventive call, we have it all for you. Our warranty (both customer and vendor) tracking feature stands out in the market offering you a quick turn around time of spares. Spares inventory, works warranty, MIF (Machines-in-field), service purchase. Comprehensive sales in single invoice. All set to bring glory to your service business. Fixed Assets directly add to your productivity. Manage your fixed assets that they perform at their best and to their fullest potential. Streamline your fixed asset process throughout its lifecycle. Right from procurement to maintenance to insurance to depreciation to sale and disposal, our solutions is complete. Our industry leading integration solutions especially with Tally,India’s no.1 financial accounting software puts you at a great comfort. Data is extracted from the source and pushed into the destination in our bi-directional mode of integration. Generally sales, purchase, payment, receipt and journals are integrated in a voucher mode so that tally would meet your banking, financial reports, direct and indirect taxes and statutory requirements.